Electric 4 solid element cooktop is rated 5.0 out of 5 by 3. 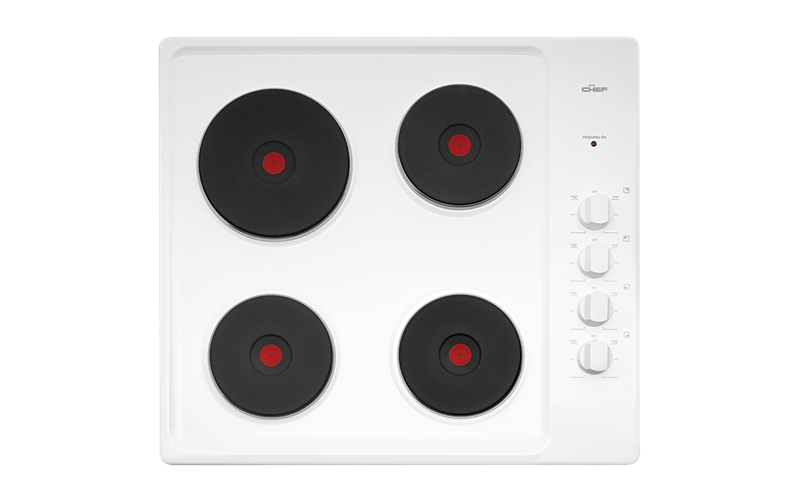 Electric 4 solid element cooktop finished in white enamel. Stepped controls on the side of the cooktop make it easy to determine the heat needed for great cooking results. Rated 5 out of 5 by Suzanne from Perfect Fit We bought the stove top to replace an existing one - and the the new appliance was a perfect fit which made installation very cost effective. The appliance works much better than we had expected.